Should you avoid the Lean Muscle Formula trial? Lean Muscle Formula is a supplement available for trial by Power Precision. It claims to help you to “build 30% more muscle mass in 30 days” but are these claims realistic? Trial offers like this have a bad name, as they often turn out to be auto-ship programs that often lead to hundred of dollars being lost. Is this trial offer another one of these schemes designed to dupe you into signing up for an expensive scam? Lets find out by looking at this supplement in more detail. 3 Is the Lean Muscle Formula free? 4 Is Lean Muscle Formula a scam? These claims are certainly impressive sounding, but you need to remember that unless there is proof to back them up then they are meaningless. You would need to look at its ingredients to see if they can be backed up. While it mentions that it uses proven ingredients such as Nitric Oxide, L-Arginine and Glutamine there is no mention of its dosages. Therefore while you may experience some benefit using this supplement, there is no way of knowing how effective it truly is. What you need to be wary of is that this lack of ingredient information could potentially be dangerous as there is no way of knowing if there are any ingredients present that could cause side effects. Is the Lean Muscle Formula free? Lean Muscle Formula is offered for free according to the website, but is this truly the case? Well, no it is not the case. Despite the claims made not one aspect of this trial is free. With the actual cost likely to shock you. To start there is a small postage fee, then at the end of the 14 day trial period a $89.95 charge will need to be paid unless you cancel your trial. You will soon discover that signing up for this trial offer also means that further monthly packages will be sent out to you. Yes, that's correct Lean Muscle Formula is another auto-ship scheme. Is Lean Muscle Formula a scam? Lean Muscle Formula may contain some proven ingredients but this does not change the fact that it is overpriced. Its use of auto-shipping is also a big problem that will likely lead to claims that it is a scam from users who sign up without reading the terms and conditions. Please leave a comment below if you have tried this supplement yourself. 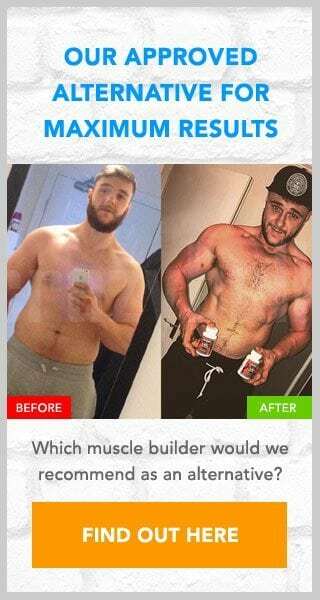 Rather than waste your time signing up for a trial offer designed only to rip you off perhaps you would be better off trying a supplement shown to actually produce results. Its name is D-Bal and it is sold online by Crazy Bulk, a supplement store that sells legal alternatives to some of the most popular (and powerful) steroids available. D-Bal is unavailable for trial so you will only pay the price you see. There is no hidden or repeat charges.